What frame height and depth should I use? Height: Select a frame height approximately 4 feet shorter than your ceiling height. 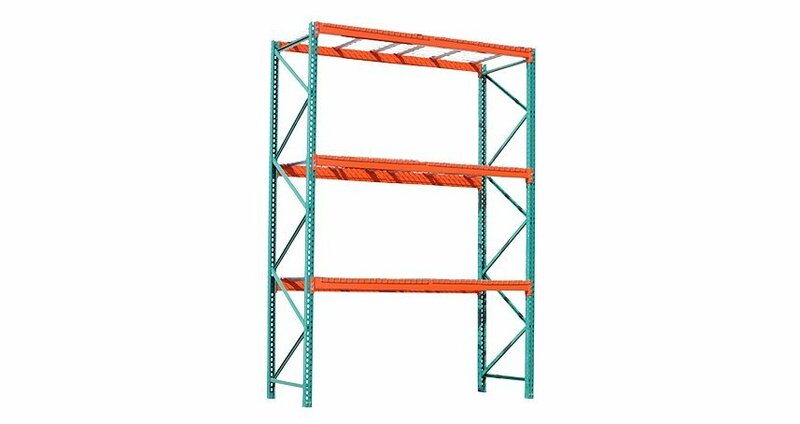 Depth: 42" is the most common depth for standard 48 x 40 pallets. What beam length and height should I use? 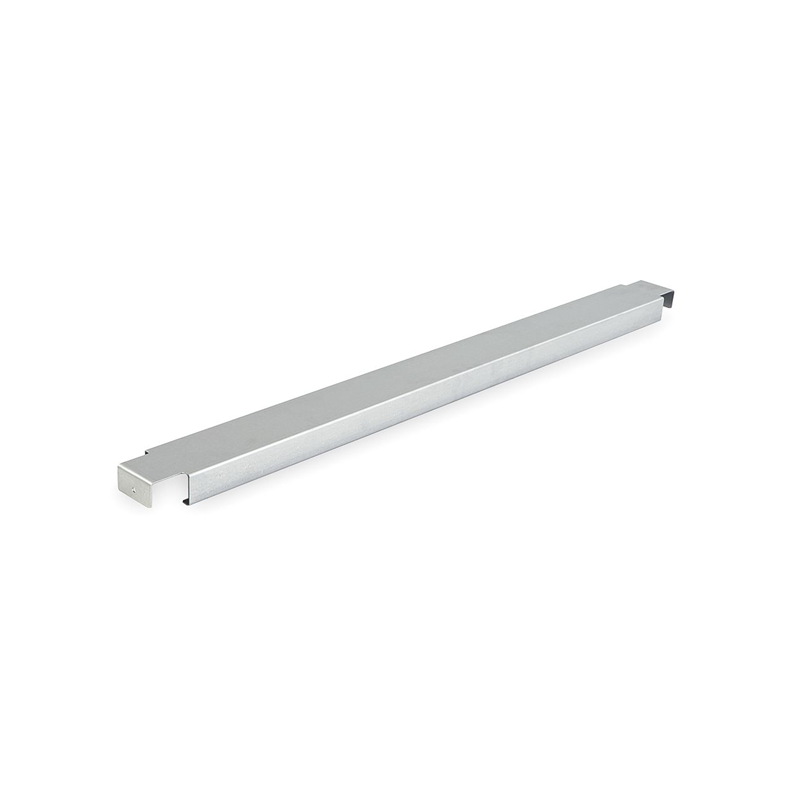 8ft Beams are the most popular size, and fit 2 standard size pallets. 12ft beams are also popular because they fit 3 pallets. Increasing the height of the beam increases the capacity. 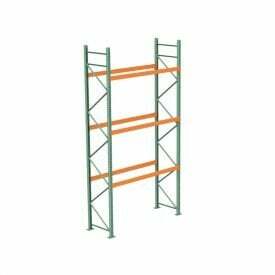 We Recommend wire decks for every pallet rack system. 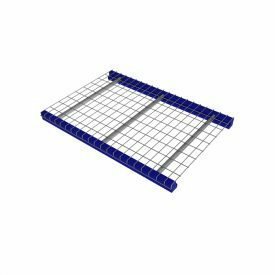 Wire decks are a highly recommended safety item that prevents items from falling through the racks. They also let you store smaller pallets and boxes. 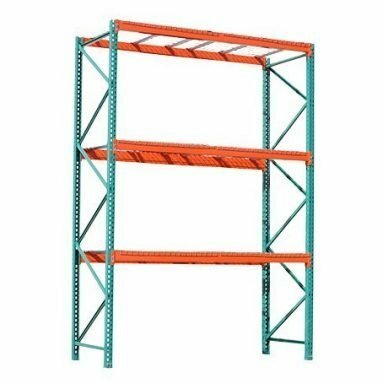 What is the difference between addons and starter bay? A starter bay is used to start a row and includes two frames. Add-on bays have only one frame, and connect to an adjacent frame. 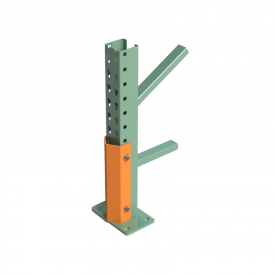 Design your pallet rack system step by step. Popular “Teardrop” style frames with standard 1 5/8″ Step Beams.